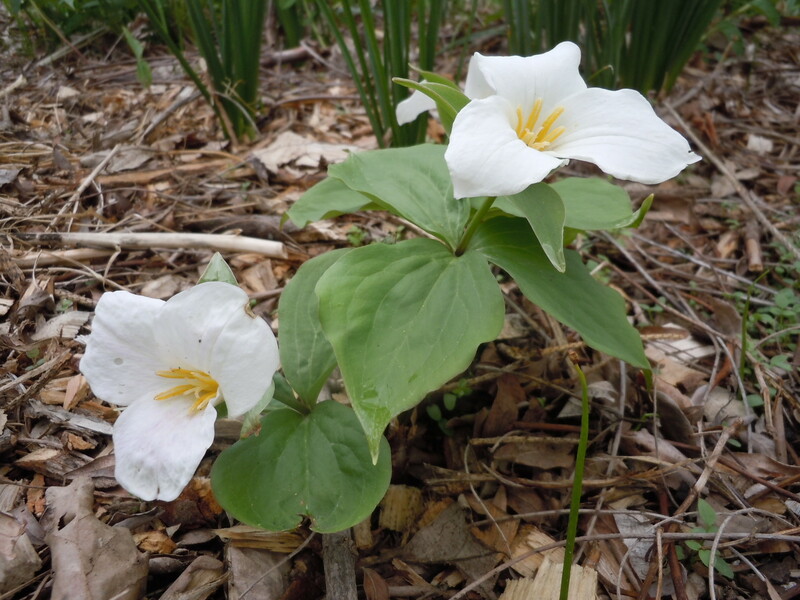 Pure white trio of petals atop whorl of leaves in May. Ephemeral. 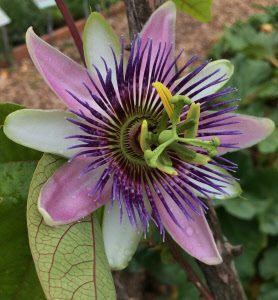 Exotic, large blossoms with an outer ruffle of petals and sepals; an inner disc of concentric rings of blue, white and purple filaments; and a central “antenna.” From mid-summer through fall. Wildlife Value: Attracts bees, butterflies and birds. Deer resistant. 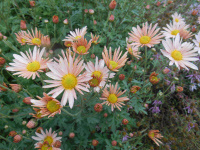 Care: Light to Part shade in well drained, alkaline soil. Do not crowd with other plants, roots prefer no competition. 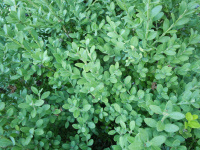 Fertilize regularly for dramatic growth. Prune in early spring. Unlike English boxwood this can be pruned back hard. One of a few shade tolerant evergreens and deer resistant too. Also the most hardy Boxwood. Introduced from Asia to American and European gardens around 1900 by Ernest Henry “Chinese” Wilson (1876-1930) who scoured Asia for plants. Awards: England’s Royal Horticultural Society Award of Merit. Top rated for ornamental traits and landscape performance by the Chicago Botanic Garden & Elisabeth Carey Miller Botanical Garden Great Plant Pick. 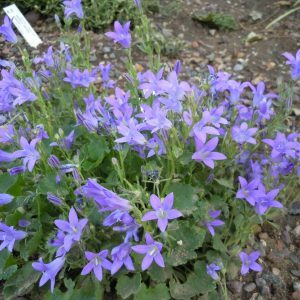 Campanula is Latin meaning “little bell.” In 1629 Parkinson described campanulas as “cherished for the beautie of their flowers.” This species named for one of its discoverers, Franz Edler von Portenschlag-Ledermayer (1772-1822). 1st described inSystema Vegetabilium 5: 93 in 1819. Listed in Sanders’ Flower Garden in 1913. What is an Heirloom Plant? Open mid April though last Sun. in Sept.